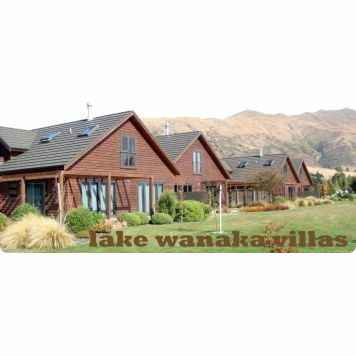 Lake Wanaka Villas at Heritage Village Country Resort. Heritage Village Country Resort is a unique complex offering luxury accommodation in Wanaka, New Zealand. Set amongst 5 acres of parkland and surrounded by mountainous landscapes, each villa and cottage is luxurious, spacious and offers spectacular outlooks. Relax by the fire, on your patio or utilize the many guest facilities which include a superior gym, spa pool, sauna, tennis court, BBQ facilities. Café Fe and Orchard Road Wedding and Conference Centre are on the same site, just a stroll across the grass. Located opposite to Oakridge Resort providing services and free access to 10 hot pools and additional fitness facilities. This Wanaka accommodation is designed to cater for all seasons. Large open bi-fold doors create indoor/outdoor living with a patio to enjoy the summer sun and spectacular mountain views, whilst this stunning luxurious Wanaka ski accommodation features an open gas fireplace and under tile heating to keep you cozy after a day of skiing or riding. All of our accommodation is fully equipped, serviced and non-smoking. Up to 8 guests in our 4 bedroom, 200sqm Villa. Business centre at Oakridge Resort. Visit Oakridge Resort to check-in and collect keys. Pricing is based on 4 people. Villas can accommodate up to 8 people. After 4 guests, the price is $50 per adult and $25 per child under 12 yrs. Guests must be paid for as the Villa is rented on a per head basis, not on a villa basis. Off-street parking beside each Villa. Drive along Ardmore Street, past the lakefront (on your right) and township (on your left). Continue towards the signage which indicates a left turn to Queenstown and Cardrona. Follow these signs by turning left into McDougall Street which leads into Cardrona Valley/Crown Range Road. Drive approx 2 minutes and look out for signage on your left 400m past the 100km sign. Signage indicates a left turn into Orchard Road, where Café Fe is on the corner. 50m along Orchard Road on your left is the entrance way into Heritage Village Country Resort. Collect the keys from Oakridge Resort. Snow Skiing, snow boarding, swimming, hiking, fishing, wine tours, golf, biking, boating.